Progress happens in several ways, and Real Estate cannot be out of the equation. Tokenization, when applied to data security, is the process of replacing sensitive data with unique identification symbols that retain all the essential information about the data without compromising its security. In lexical analysis, tokenization is the process of breaking a stream of text up into words, phrases, symbols, or other meaningful elements called tokens. Understanding this concept, we can say that we use Tokenization as a method to convert rights to an asset into a digital token. By Tokenizing assets, we have a digital representation of a real-world asset on a blockchain. Tokenize a property is basically generating a token on a Smart Contract and give a value to that Token in correspondence to the real asset. It is the easiest thing ever. What matter is how do you want to manage the tokenized property. As in the case of a Real Estate Property, you can tokenize any real-world asset as mentioned above. Let’s take a look what it looks in the Real Estate field. Take this article by Addison Cameron-Huff on Distributed “How Tokenization Is Putting Real-World Assets on Blockchains” as a further complementary reading. I’m covering the subject of Tokenization in Real Estate after the previous post “Beyond Real estate on the Blockchain” raised a lot of interest and discussion on the topic. When it comes to Real Estate, we have different scenarios: Real Estate Funds (REF) as proposed by Brickblock. Digital assets backed by real estate is REIDAO offer to the ecosystem. Tokenized Ownership is contemplated on imbrex road map*. Cryptocurrency Backed Real Estate is already in practice by PROOF with 3,100 registered users. Bitproperty REITs in Japan. And others sometimes less knowledgeable, trying to get an “All Access Pass” to the stage. As we see, not all of them apply the simple “tokenize the property” style. That would be too easy. While all of those projects require a mention, I will focus this time on Brickblock’s Real Estate Funds (REF) structure. Brickblock is a blockchain-based solution for investing in REF, among other asset funds. Each fund on the platform has its own denomination and its own “proof-of-asset” (PoA) token. Basically, you take a Real Estate Fund (REF), divide the shares into small pieces and tokenize it. Then the shares go securely stored in a custodian. 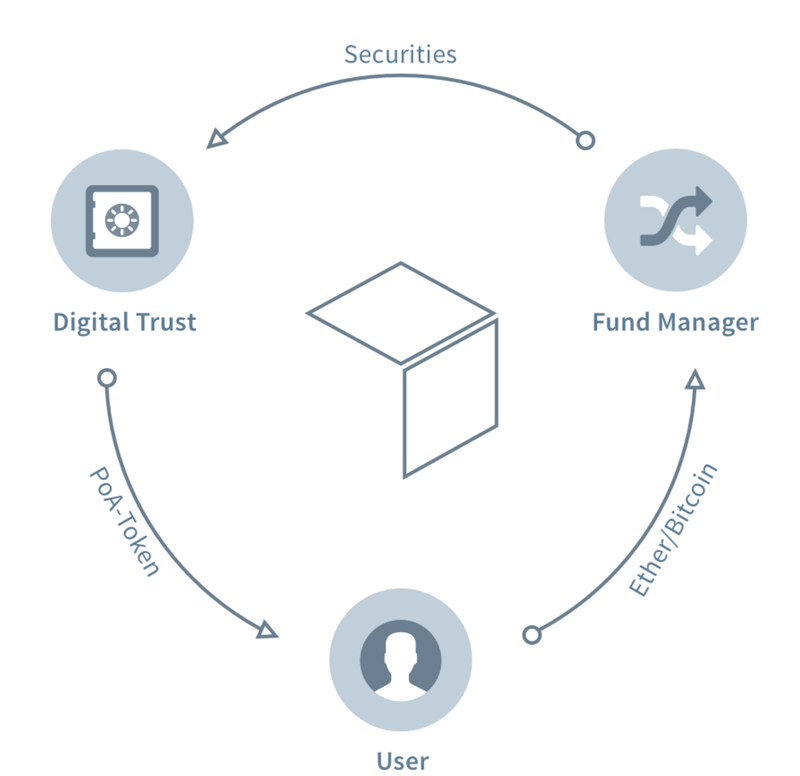 Brickblock sets up a digital trust fund that holds the assets that are backing the PoA tokens in an investment account with a custodian. To ensure the safety of the underlying assets, the digital trust fund initiated will hold exactly the same fund shares as tokens were issued. Then you have the token backed with the share. Upon depositing the crypto funds for the investment option of his choice, the user receives PoA tokens, which are the access key to the real-world assets acquired on the Brickblock platform. This time I´ve brought Jakob Drzazga to join the conversation. He is the “Brick” while Martin Mischke is the “Block”. When They joined forces, Jakob as a Real Estate Developer and Martin as the Blockchain guy, they became Brickblock. — It´s a funny story, I know! We need some Emoticons here. “The question is split into two parts — technical and legal. The technical side is straightforward. We have started development on the Ethereum network since it is the most advanced smart contract blockchain to this date. The proof-of-asset token, therefore, will be an ERC20 token. This token is technically speaking tradable. From the legal perspective, we are currently evaluating all possible regulatory obstacles. We have a great team of Axel von Goldbeck, who has worked for six years as a chairman of the German real estate association. He has actively shaped the regulatory environment for real estate funds in Germany. Together with Dr. Wolfgang Richter who joined the team recently too and our lawyers in Gibraltar, we are confident that our form of transactions will be fully compliant under current legislation. In the Brickblock example, as well as in several other proposals, you are not tokenizing the Property per se. Following a basic Crowdfunding model, the property is divided into shares, and the “shares” are tokenized. Investment in Real Estate has always been appealing. So is the creativity of the parties involved. We have now a new window to apply this creativity with the blockchain as a playground. As I write this, the SEC has issued an Investor Bulletin based on its yet so famous Investigative Report Concluding DAO Tokens Were Securities. * imbrex has announced its partnership with REIDAO and the autocorrect function does not even validate “tokenization” as a word. Once upon a time, something called Token became part of our lives. Then partnerships, regulations and legal opinions… it seems to me that progress is underway as fast as Usain Bolt on a 100 feet race. Progress happens in several ways and Real Estate, as rigid as it is in concept, cannot be out of the equation. The Progress Will be Tokenized, and it’s already happening in Real Estate. Stay tuned! This article is part of the trilogy Real Estate on The Blockchain. The first one called Real Estate on The Blockchain. Don’t Rush! covers the first attempts and my personal view on the path of adoption. 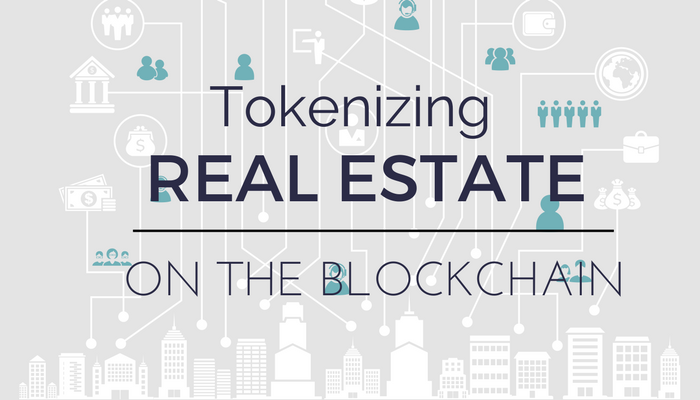 Then, Tokenizing Real Estate on The Blockchain illustrates tokenization from the theory to the practice. The trilogy ends with Beyond Real Estate on The Blockchain featuring a use-case hypothesis and a Virtual Real Estate market.